Insurance began as a way of reducing the risk to traders, as early as 5000 BC in China and 4500 BC in Babylon. Life insurance dates only to ancient Rome; "burial clubs" covered the cost of a member’s funeral expenses and helped survivors monetarily; this is akin to modern day final expense insurance to cover burial and memorial services. The first insurance company in the United States was formed in Charleston, South Carolina in 1732, but it provided only fire insurance. The sale of life insurance in the U.S. began the late 1760s and eventually paved the way to NY Life. There are three basic questions in life insurance, two types and two uses that should be understood so that there is a tailored approach. Lifestyle Capital - this is insurance with cash values and reduced death benefit so that the insured takes advantage of the tax code under IRC 7702 which allows a tax-deferred build up of additional funds and then access to the funds tax-free as loans. Succession Capital - this is where the death benefit is used to create a legacy or pay business expenses, infuse a company because the figurehead died or pay estate taxes for larger estates. The best techniques for this is premium finance where the insured uses a loan to pay the insurance premiums much like you would take out a home loan you're taking out a policy loan to retain capital and not disrupt investments yet gain the coverage you need. Hi, me hearties. I want to sell you some life insurance, I do mate. Hi, this is James Burns. I’m trained as an attorney, I do life insurance and I’m here with Rob Lambert and his Asset Protection Training. Why did we design this for you? Well, so that you're not coming up against a pirate who may be trying to sell you inappropriate or unsuitable life insurance. The reason I got involved in it was, I was doing the estate planning and for years I would encounter folks that were selling insurance to my clients and they don’t know what they were doing. They had several years in the industry and still didn’t know what they were doing. Now, the industry makes them do continuing education; but for some reason, some of these guys just seemed warm through and, you know, it's always shocking to me when I encounter one of them that’s been doing it for 20 years and they still don’t know fundamental concepts. So, as a result of that, I've decided I should be out there doing it, and kind of put the legal practice aside just to help folks understand life insurance- keep them away from the pirates. I feel like the colonial marauder out there trying to chase down the pirates basically, and help folks get the suitable products that they need. Now, we think of life insurance. There are really three fundamental questions that come to mind, and it's what type do I need and how much? Those are real questions and most it is done with a financial needs analysis where an insurance professional is going to come to you. They're going to takes notes about your specific situation, and from there, they're going to design a product and/or products that fit your situation. Next, you need to know that we have it for two main purposes. One is U.S.to your business. Life insurance work as a continuation planning case as the CEO or a key person in a company wants to go down either they become disabled or they pass away. We often need life insurance in there as a resource for cash, and we'll talk about how you build up cash values inside that policy just beyond that death benefit. So, in other words, there's a way to use it for payment to yourself rather than you die. There's such a thing as life insurance and that means you're able to use it while you're still alive. It's not just something that you're going to pass down to your loved ones, and you have to become an angel for them to get it and for it to become useful. Well, aspects of insurance, it's been around for centuries and 5,000 B.C. many of merchants traveling the road to China would ensure their trip. We find life insurance seems to have evolved around the Roman Empire, and they had a thing called the Burial Club which would cover the cost of funeral processions and memorial services as well as the plots. In modern times, which means currently today, we have a practice very similar to that called final expense. A small group of individuals called the National Association of Funeral Directors have determined with statistics, that the cost of burial and memorial services is somewhere between $10,000 and $30,000 depending on what locality of the country you live in. But for most people, they should have at least that small policy of $30,000. 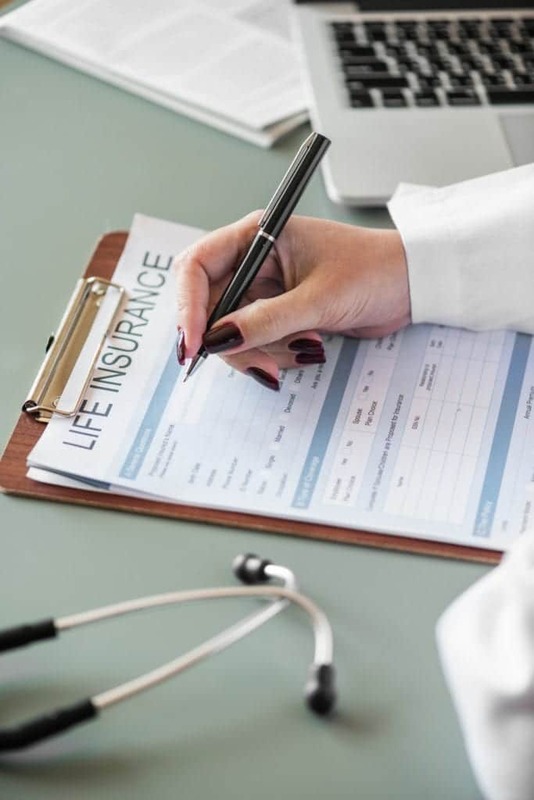 Now, going back to that need, we need to understand the different types of life insurance practice out there so we'll know what is the appropriate fit for us. First, we start with the one that a lot of people are familiar with, it's called "term". Term life insurance is temporary. That means that you're buying it and most of those products will go for 10 years, 20 years, 30 years. Now if you had a mortgage, and most mortgages are 30 years long, and you wanted to provide some life insurance protection for that mortgage duration, which one would you get? That’s right. I can hear you out there. You would want that 30 years. However, sometimes the cost of a 30-year term policy could be such that it doesn’t fit your budget. So, the question is can I afford? Can I add monthly so that I can afford this product? Next, we have permanent life insurance and there's a couple of different varieties in permanent life insurance. First, is whole life. Now, whole life can be a little bit more expensive than the term, it's probably five to 10 times more expensive. Why? Because you're buying it for the duration of your life, and that means you're going to be gone beyond that 10, 20 or 30 years possibly. Hopefully, you're going to be living a long life and you're locking in a price a today for the duration of your life, as well as you're going to build up what's called cash values. It's like a little account that’s attached to your life insurance policy. If we were to look it up like this- here you have your life insurance and here you have this account that will build up cash values. What's the significance of these cash value accounts? Well, you're able to access that cash tax-free to yourself. It will build up tax-deferred and you can tap those funds tax-free under a long provision that’s in the policy. As you well know, anytime you take out a loan, access to those proceeds are tax-free. The cost inside that whole life policy again may be very expensive. You're not sure where the life insurance company is going to be investing, and so that becomes problematic. The next vein of the permanent life insurance is universal life, and universal life also is referred to flexible life. It seems to have come around in the 1980s, and what those products allow you to do is be a little bit more flexible in terms of your monthly payments. In other words, if I was paying $300 a month, I could decide around the next month that I only have $200 in flexible payments as well as the death. The amount that’s paid out to your loved ones could remain level. It could remain increasing or it keeps going up based on the number of payments that I feel like. Next, we find the variable universal life. The same thing as universal life only the investment aspect of this is going to be tied to the market, which means we're going to invest in the stock market and we're going to be invested in the mutual funds. The good side of that is you can get some of that high upside gains in the market when it's happening which we haven't seen now. The bad side of that is that when the market is down, so are those cash values, which mean they might not be there to cover payments on your policy. So, most people find out in the long-term that variable universal life policy doesn’t do them justice. Finally, the one that’s become very very sought after right now is the equitable life, and it's because of investment strategy. In and financing, there are really three different types of investment strategies just to keep it simple. There's fixed, and that’s like when you go and get a CD and you know what your rate is. You're going to get your 1.1% out there. Then market affixed or market affixed type of strategy, where you're going to be subject to whatever the stock market is doing or the mutual funds. Sometimes that’s going to be up, most time that’s going to be down; and you're going to be taking the roller coaster ride according to your tolerance. Then the third type of investing strategy is with an index. Let me explain how the index works relative to universal life products. With index, you're going to capture whatever the S&P 500 does, and as you know, index is we have the S&P 500, the Dow Jones Industrial Average and the NASDAQ as well as many others; but these are really the three biggest ones that we hear a lot in the American press. These products are designed to go along with the S&P 500 which is 500 of the largest companies in every kind of sector. In fact, index investing becomes one of the best places that we can ever make in terms of getting involved in the market. Now, with these types of policies, you're going to lock in your gains as the market is moving up. When the market goes down, you're staying right here. You're locking in your gains. You're never going down. So, it has downside risk avoidance. Here’s what happens folks for most people who are trying to go a long distance for investment purposes. They ride that roller coaster ride and then the day when that age for retirement, they may be down here which means on the bottom side of their roller coaster ride. Think about this for a moment- a 911 or perhaps 912, the day after and the market was down over 50%. How much of your funds would you have to be able to access? It will be dependent on how much you put away for years, but just knowing that you'll be at least cut in half by one geopolitical event would be devastating. With this type of product, you're locking in your gain. We want to stress that on it is because the stock market is an unreliable indicator. It's kind of like gambling in most aspects. So, imagine how locking in the gains, and when it begins again, you're starting from where you left off. So, there is an old adage, when does a negative 30 plus equal zero, and that’s anytime that the market goes down. You have to get back to at least 43% just to get back where you started. So, imagine doing those several periods of time during the 30 to 35 years period which is the typical duration for retirement. So, what I’m just telling you right now is, insurance product could be a savings type of investment for you. Not only will it provide that death benefit for your loved ones, but it is a way to save up tax-deferred and then access those funds tax-free retirement years. Now, imagine doing that every year in your retirement is completely tax-free. Do you think that into this deficit and the way we're going to fund the Healthcare Reform Act that taxes aren't going to go up? If you do true, but the facts are folks that taxes are going to go up and you're going to need a tax free strategy retirement this, your typical IRA and the 401(k) is taxed at ordinary income at the point of retirement. So, whatever year you decide to retire at 65 typically, you start getting taxed at whatever tax bracket you're in at that particular point. Sometimes that can be quite devastating, especially if you were planning to retire in a lower tax bracket. It's almost inevitable that you will be retiring in a higher tax bracket. So, again, you want to look at a tax-free strategy. So, life insurance has it's aspect of covering risk, taking care of our loved ones and replacing income if we're ever gone. While we're still alive we can access this cash values, this tax advantage savings account tax free and that income, you know, retirement years. So, in subsequent installments, I’m going to take you through a journey of understanding at least 100 different strategies for both personal and business. Sometimes when you're just a foreign individual residing here in the United States; for instances, in both your estate plan and your business where you also need to think about plugging your life insurance to just cover could be devastating to you, your family or your loved ones. Posted in Insurance & Annuities and tagged life-insurance.